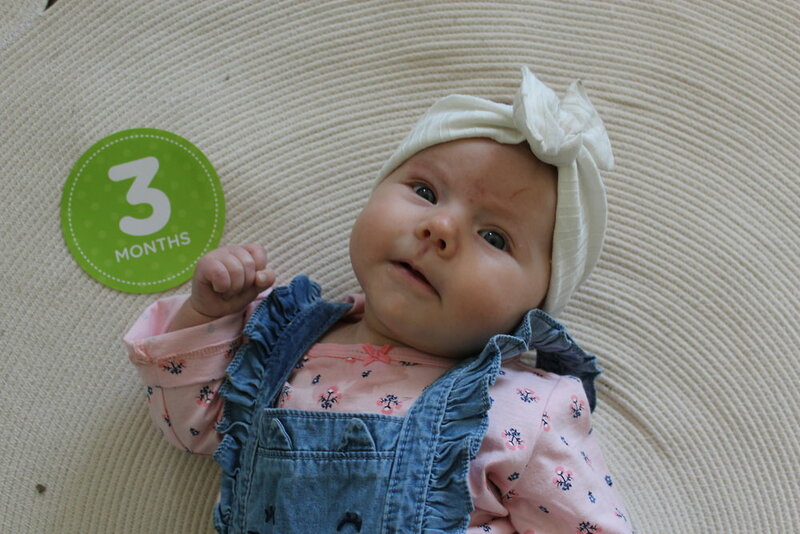 Wren is 3 months old, of course I’m about a week late writing this post… Poor third child! 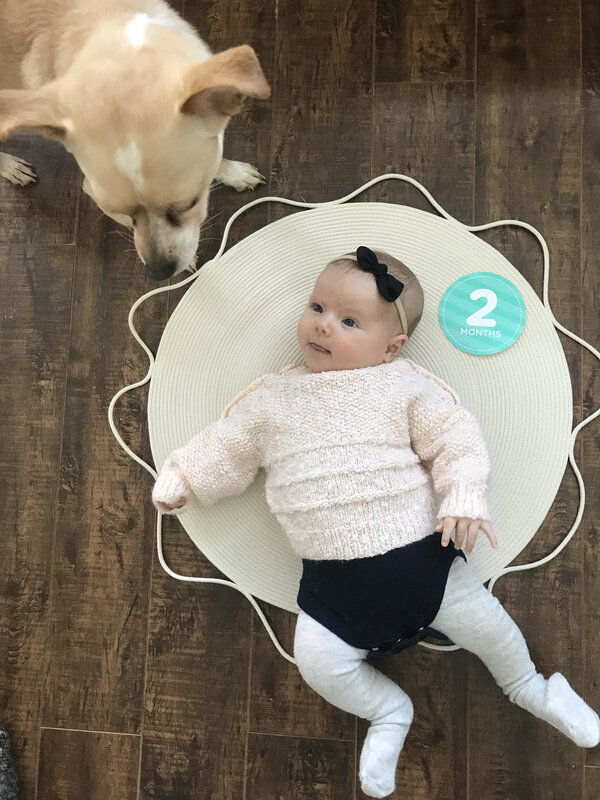 This month has been full of smiles, and her very first giggle! 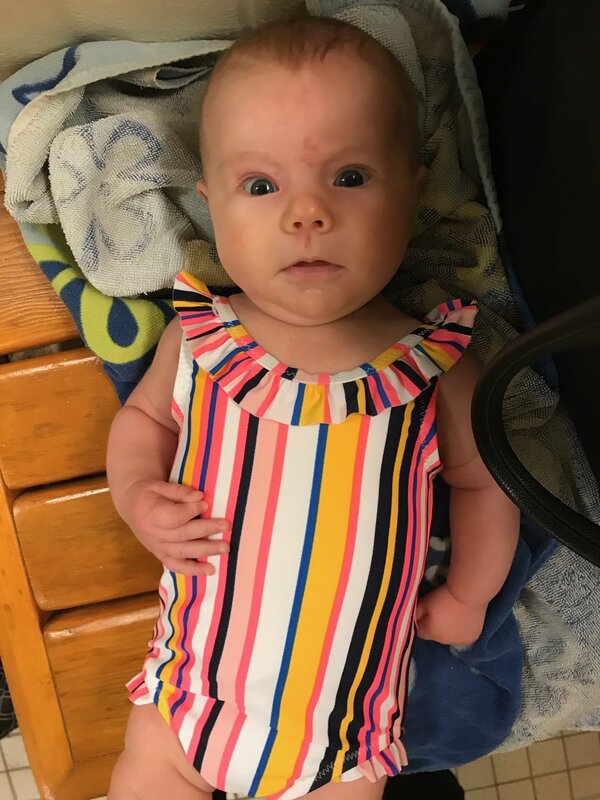 Wren had her first time swimming with her big sisters, we discovered 1 tooth is breaking through on the bottom, and she slept through the night for the first (and only) time! 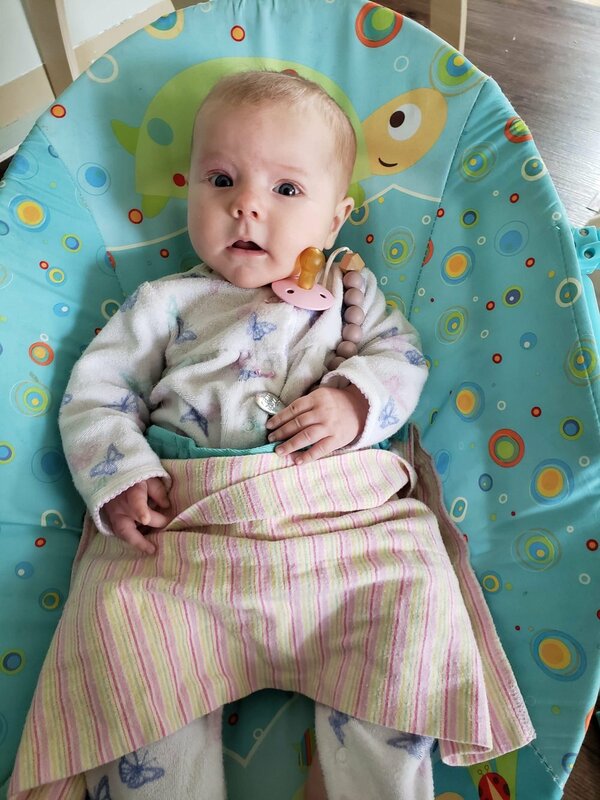 Little lady is trying sooo hard to roll from back to front, and has rolled from front to back a couple times. She is basically the worlds happiest baby and NEVER cries. She is still obsessed with her dada, and smiles at everyone she meets. This girl is pure light and happiness, I can’t get over how lucky we are to have been blessed with her sweet spirit. 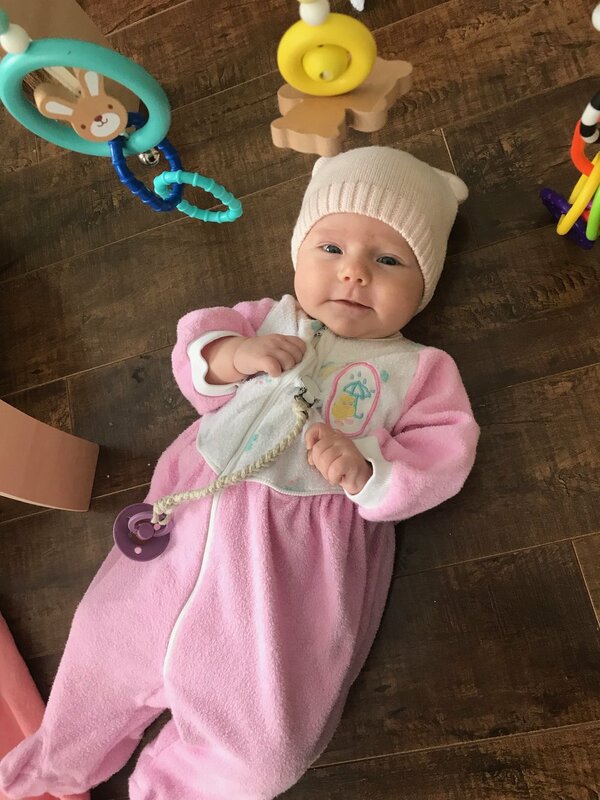 She barely fits size 3 month clothes, and fits 3-6 and 6 month clothes very well. Still using cloth diapers and loving it. She nurses like a champ, sleeps okay during the night but definitely looking forward to longer stretches of sleep. 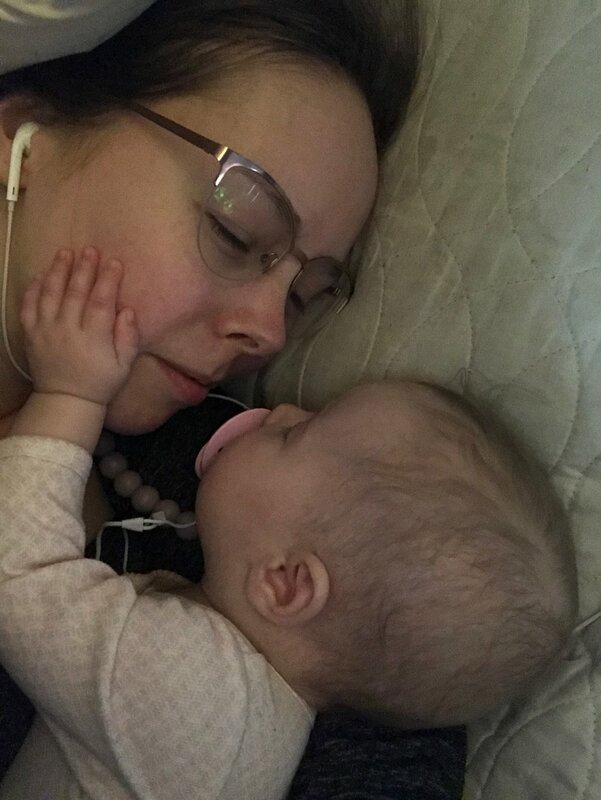 We bought the Snuggle Me Organic lounger and she loves to sleep in that, which helps when I need to set her down - though I still love to cuddle her for naps because this time is going way too fast. I’m soaking up every second of her sweet snuggles. Her hair is still light brown and her eyes are staying blue. 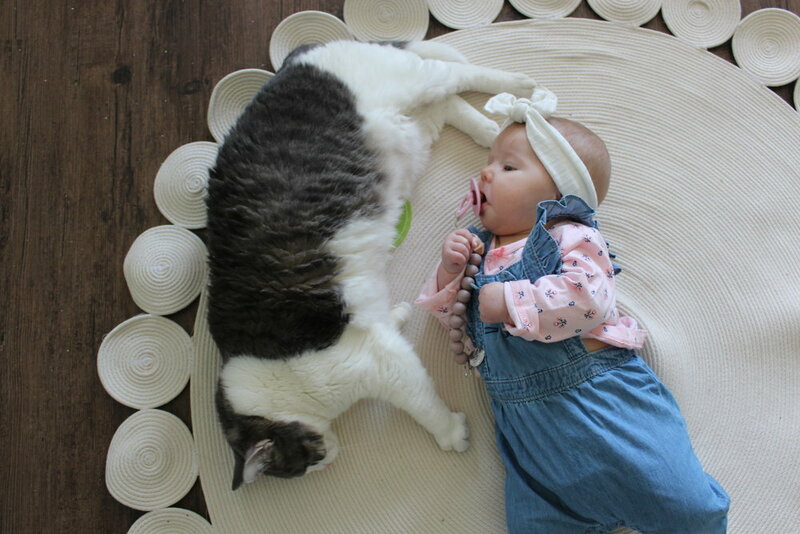 She’s 13 pounds of pure love and baby rolls and loves her soother more than the twins ever did. The girls have all bonded so much this month. Annie is always checking on baby Wren making sure she’s okay and is so protective of her when other kids are around. Sybelle thinks it’s SO funny when Wren reaches out and “tickles” her. The twins love to just look at her. It is so beautiful to watch their love for each other grow after a rough start. I can’t wait to see their sisterly bond as they all grow up. 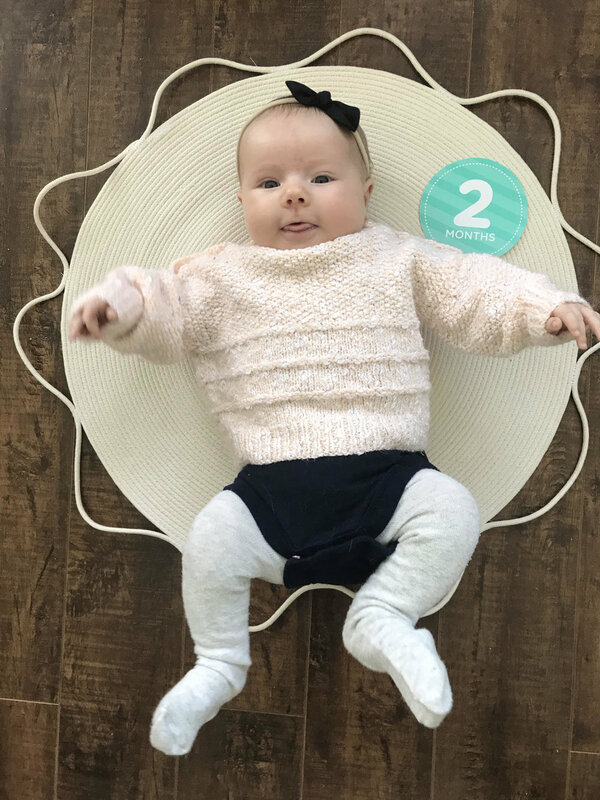 Little angel girl, you have brought us so much joy!